From simple concept websites to fully fledged eCommerce sites with content management systems. Site management to website facelifts and redesigns, we're your guys! Site design is one of our main "bread and butter" services that we take care of day in, day out. We create eyecatching professional websites that help get across your message in a user friendly, easy to read format. If you've already had a look at our set price website packages but are looking for something a little more specific, just let us know what you're after and we'll provide you with a no obligation, free quote. Usually that same day! 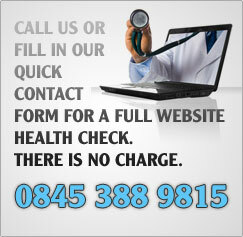 Most of the websites we have completed for customers in recent months have been for businesses. National and local stores, hotels and more. But that's not all we do! Want a site to list information about your charity group? Favourite hobbies or passtimes? Maybe you are an artist or a band member looking to get more exposure for your work online? We can create a simple, gorgeous website that will suit you perfectly. Then again, maybe you're looking to add a bit more to your site, make it work for you a little more. Perhaps you're a Hotelier or Restauranteur looking to take online bookings? At Only we do it all. Fill in a no obligation, website quote request and we'll let you know what the minimum price is for your site, along with any optional additional extras which we feel may be of use to you. Our policy is to always offer you extras, not to push them onto you and add a charge to your website package. We want to make sure you get the website you want.